Please do not post research related queries to this site. Use search engines (such as Google) to find further help and guidance. 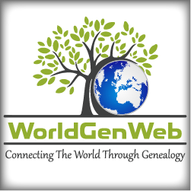 If you want to build an online family tree there are facilities. Some of these services provide automatic email notification of surname matches. Post your query to one of the message boards and/or a mailing list. Send me information about my ancestors. I am looking for further information about the families of Franco POLLINI, born 25 June 1879 in Trieste (was in Austria, is in Italy today). He married Maria DVORAK (born abt. 1882 in Pressburg, Bratislava today). They married in Vienna, Austria on September 12, 1902. Franco died in July 1918 in Servola (Škedenj). Maria died 1941 in Vienna, Austria. They had one son, Peter POLLINI, born December 5, 1904 in Vienna, Austria. I would appreciate any further information about these persons or their relatives. When you post a query, always provide background information (names, dates, places). Follow the advice as per the respective WorldGenWeb country and use the recommended resources.